Special Lady's Night sponsored by 'Byul-E' plastic surgery. Venus of Octagon, the powerful, DJ Cream! 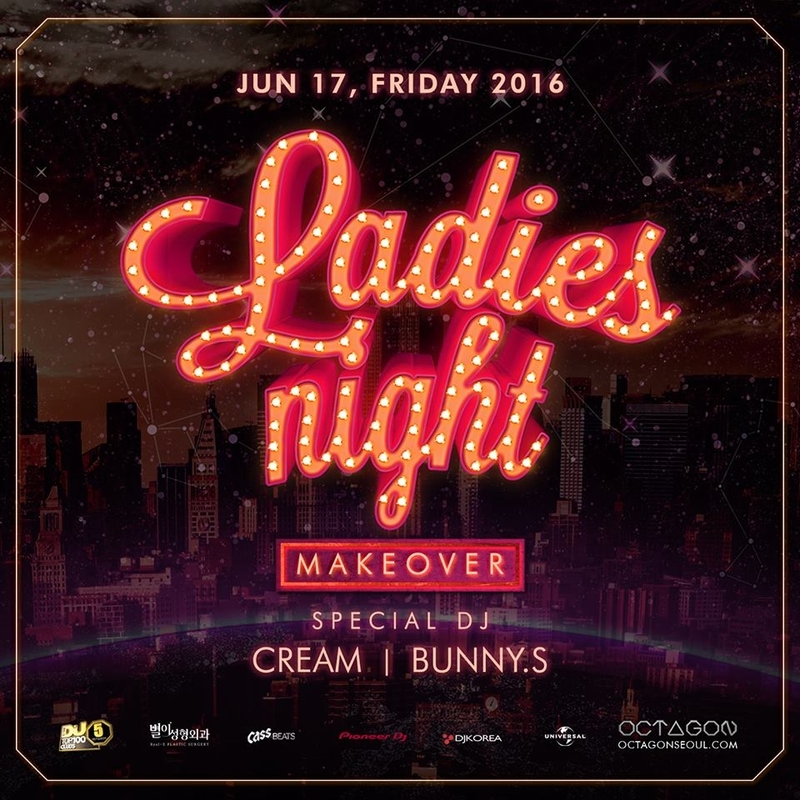 Enjoy spectacular performance by DJ BUNNY'S. Exclusive Singaporian artist beloved around the globe.